you have all refrigeration and air conditioning systems under control. you improve the efficiency and ecological balance sheet of your systems. you increase your customers' satisfaction. you avoid unnecessary servicing work. you work in an efficient and forward-looking way using digital measuring technology. The compact 2-way manifold for service and maintenance. The ideal refrigeration technology manifold for all-round service. 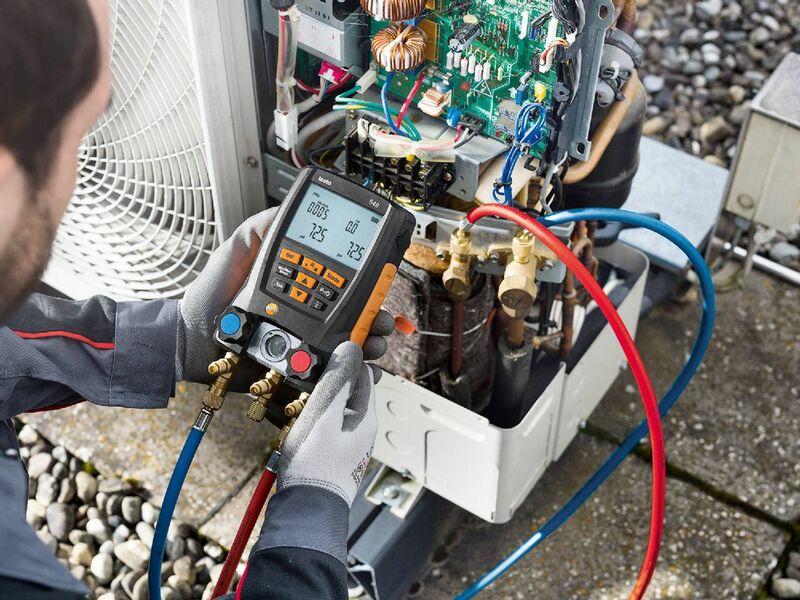 Compatible with the testo Refrigeration App. 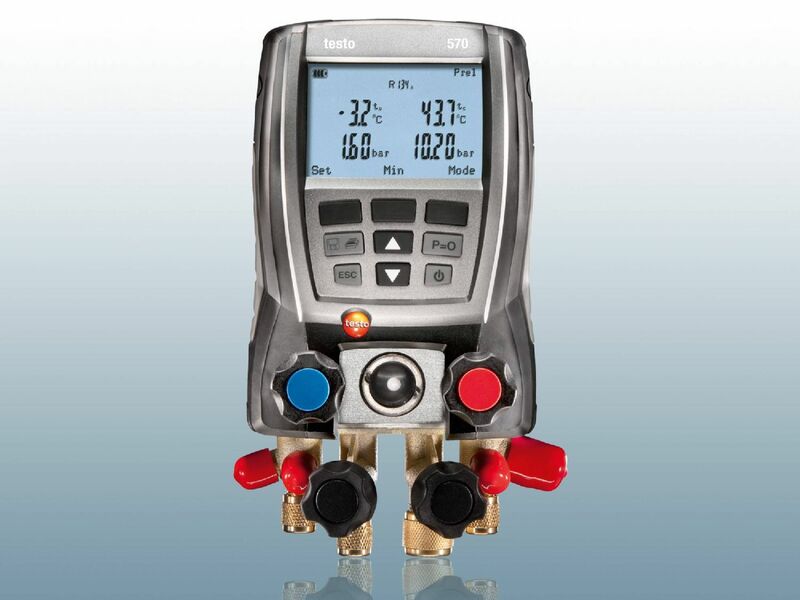 The digital manifold for every refrigeration challenge. 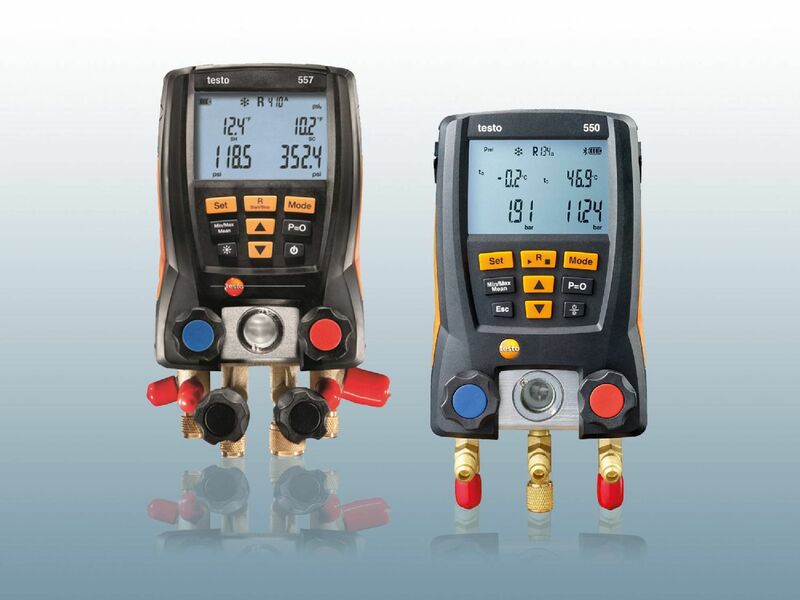 At least twice as accurate: The testo 550 2-way manifold and the testo 570 4-way manifold have an accuracy of ± 0.5% of f.v. (± 0.3 bar) for a measuring range of 60 bar. Unambiguous values: You can always rely on the measuring values displayed and the long-term stability of the measuring technology. New refrigerants? No problem: Refrigerant updates are quickly carried out using the App and software. 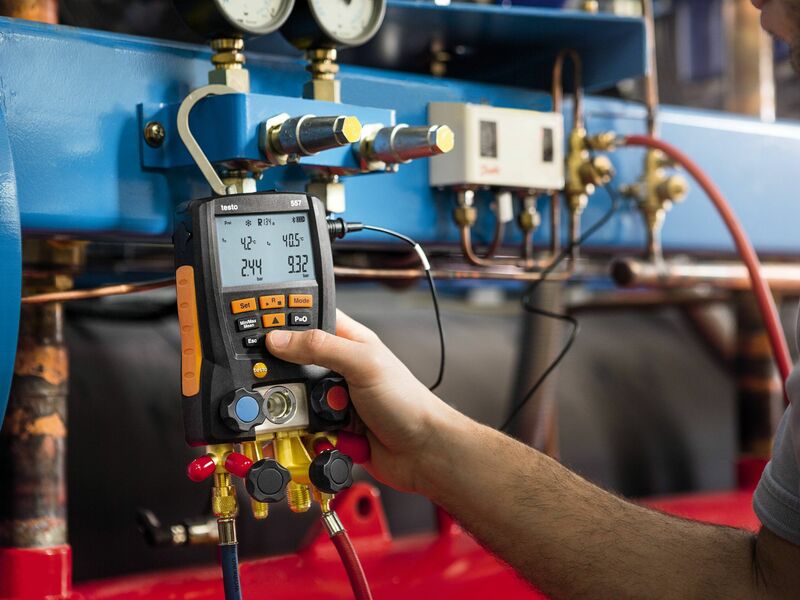 No matter whether it is a 2-way manifold, a refrigeration technology manifold with comprehensive features or the Testo Smart Probes with smartphone operation: which instrument is right for you always depends on your requirements. Contact us for more information. 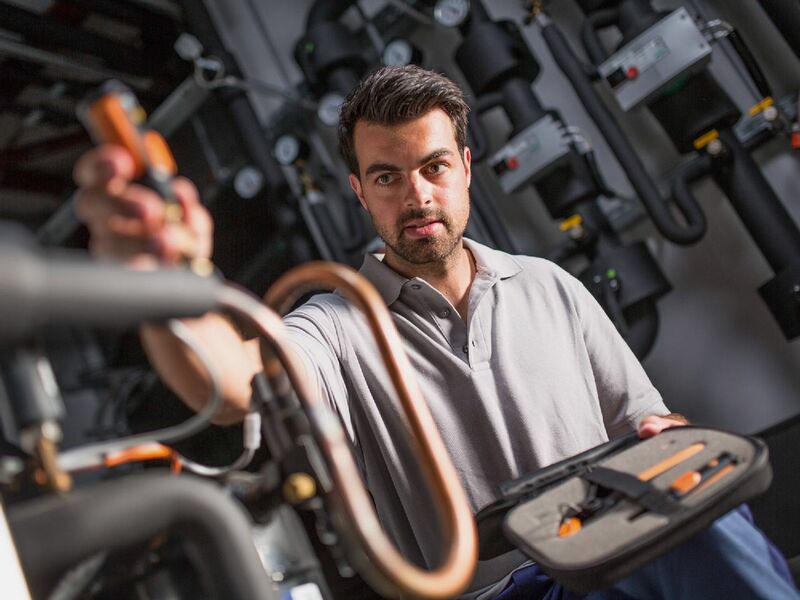 In our videos, refrigeration professional Andreas Dahms shows you how to connect your manifold – and easily, quickly and safely too. 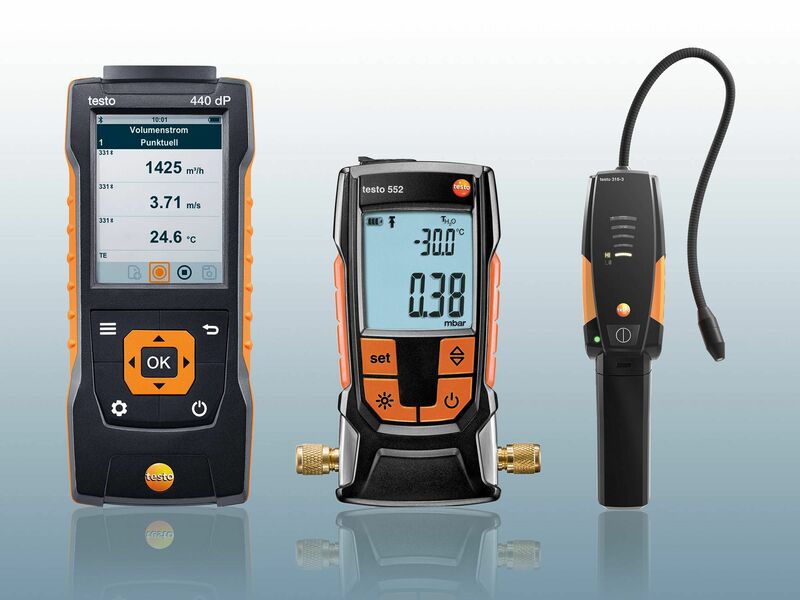 More measuring instruments for the refrigeration professional. A pressure gauge ensures that water and gas pipes, along with gas heating systems, function properly. An absolute pressure meter is in turn particularly suitable for flow measurement in ducts, laboratories and production processes, because it compensates the density here. Do you want to evacuate refrigeration systems in accordance with the manufacturer's specifications regarding absolute pressure? 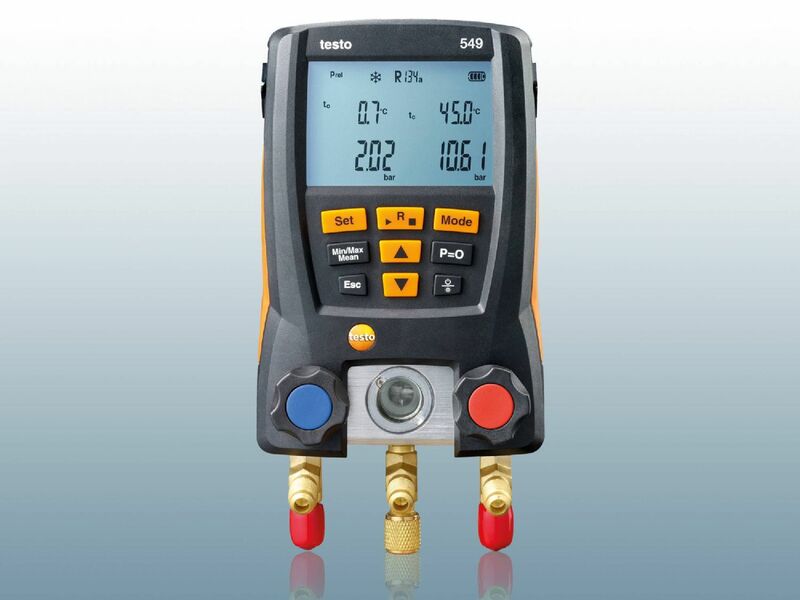 Then you should take a look at our testo 552 vacuum gauge. Its high-precision, flexible alarm threshold values and App connection provide everything you could possibly wish for. 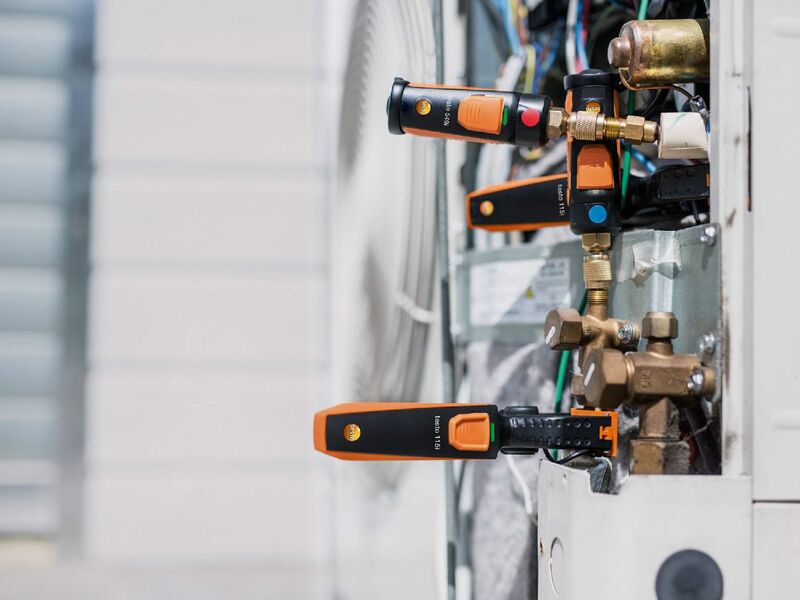 On the one hand, a leak detector is indispensable for detecting escaping refrigerant and on the other hand for discovering leaks on gas pipes. 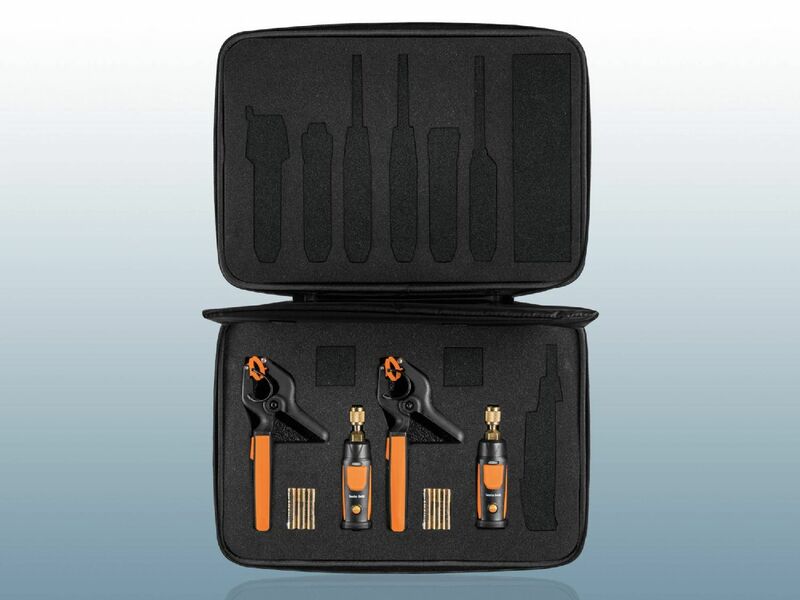 At the same time, alarms and flexible probes ensure a whole lot more safety and convenience.